Completed Interactive Qualifying Project (IQP) at the Bar Harbor, Maine Project Center. An IQP is often called life-changing by WPI students, requiring teams to delve into a problem that matters to real people. 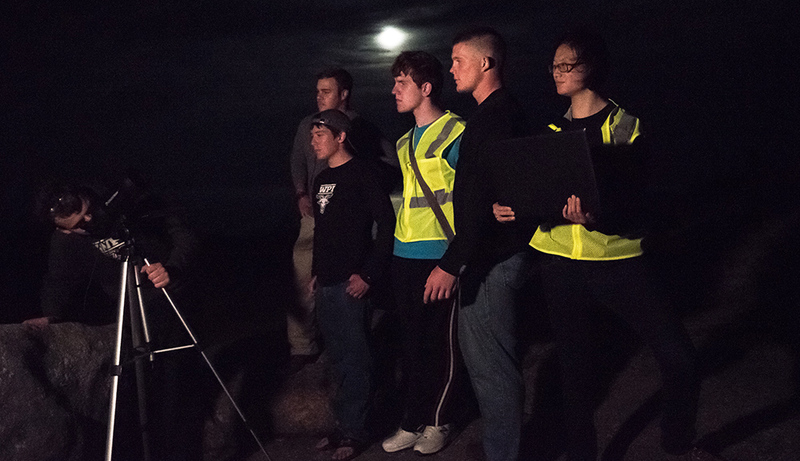 Matthew's team, made up of six students with majors ranging from mechanical engineering to interactive media and game development, worked together to assess the feasibility of Bar Harbor becoming an International Dark Sky Community (IDSC). He and his team compared the ordinances of the town to the mandatory requirements for an IDSC, created a map of businesses that were dark-sky friendly, and gathered information on the current status of the night sky, allowing future teams to help work with the town to continue the process of making Bar Harbor an IDSC. 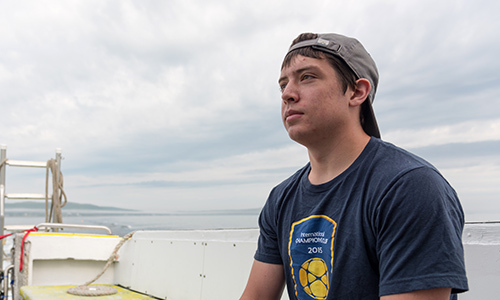 For Matthew, the most valuable part of his IQP experience was having the opportunity to present the information he and his team gathered in a way that made it imperative for the town of Bar Harbor to act. Thinking through and determining answers for the different reactions they could have received made the experience eye-opening and invaluable. Improving grades as a result of hard work in writing classes. Playing rugby during my sophomore year. Spending a few years working for a reputable company while also completing some personal projects. Creating a patent portfolio before selling the patents and working full-time as an inventor. Opening my own company, automating it, and living off the royalties of my inventions. Wake up and grab breakfast at the dining hall. Head back to the house to prepare for the day. Hold a team meeting to assign the day’s goals and objectives. Break up into our designated groups and head to work. Take a break for lunch. We’d either use the full kitchen back at the house or go out to eat at one of the many restaurants in town. Continue working, unless we’re doing night work, in which case we’d go hiking until dinner. Depending on the day, we’d finish up work or return from our hike. Meet up for dinner at the dining hall. Free time—we’d go hiking, swimming, or just relax back at the house. Relax at the house playing poker or board games, or watching a movie. Grab some ice cream or stop at the beach for some stargazing. If we’re doing night work, we start getting ready for it. Complete specific work for the Dark Sky project for the night. Wake up and make breakfast. Return from our hike and head to a restaurant for lunch, or make our own. Grab dinner at a restaurant or pick up lobsters from the lobster pound to make our own food, then spend the night with friends. Poker nights were a regular occurrence, and we would usually just hang out with friends. WPI’s project-based curriculum impacted my education by giving me a leg up on other college courses. My education branches closer to real world work than a standard classroom environment.